The Rotary Club of Pickering is proud to introduce their Scholarship Program! The scholarship program will be awarded to two (2) Pickering or Ajax students who meet our selection criteria. 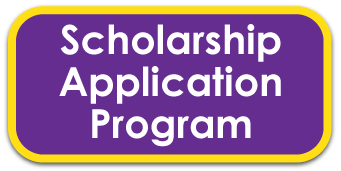 The scholarship program is offered to Canadian (or permanent resident) students (male or female) residing in the Pickering or Ajax area. The Rotary Club of Pickering is offering two (2) $1,500 scholarships that will be awarded annually to students pursuing post-secondary education, who meet the selection criteria as detailed in the program. Candidates must provide evidence of Academic Achievement, Community Involvement and Financial Need. Deadline for submission is May 1, 2019. 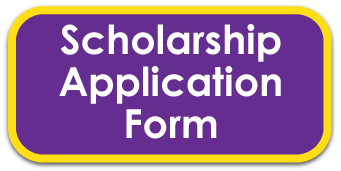 The application can be downloaded by clicking on the button to the right called "Scholarship Application Form". All applications will be reviewed by the Scholarship Committee. The successful applicant will be notified the week of May 31, 2019. The successful applicant must be present to accept the award at a ceremony on June 18, 2019 at a Rotary Club of Pickering meeting. A Canadian citizen or permanent resident of Canada (male/female) who resides in Pickering or Ajax. The age of 25 and under as of the end of the year in which the scholarship is granted. Enrolled in a Durham Region high school and is registered to attend a Canadian College or University in the fall/winter or attending a Canadian university or college of the year in which the scholarship is granted. An essay describing the reasons why you would be a worthy recipient of a Rotary Club of Pickering Scholarship. Include your contribution to the community, other volunteer activities, your academic achievements, and your most significant accomplishment. A brief outline of your budget for the coming year including some information on all expected sources of funding (e.g. parents, student loans, etc.). Two letters of reference. One must be a teacher from your school, the other from an individual who is familiar with your community/volunteer work. A recent official high school transcript or university/college transcript with proof of acceptance and/or registered in a Canadian college or university. A passport size photo (will be the property of Rotary Club of Pickering) and a 200 word statement about you, including your volunteer efforts, what you will be or are already studying in university or college. Students entering first year must provide their accomplishments in high school. The statement will be published on our website and shared through social media if you receive a scholarship.